Westside Training Method – Louie Simmons’ powerlifting method. Incorporates 4 workouts per week. Max-lifting days involve doing a large number of sets – around 10 – with low reps of 1-3 range. Just one exercise is normally done on these days. Do NOT train to failure on this sets. Leave around 3-5 minutes of rest in between sets. The idea is to break your PB on these days, starting with a relatively light weight and working up to 100% of your 1-rep-max for the last couple of sets. Dynamic Lifting Days involves utilising chains and/or bands to ascending resistance. You would normally lift 40-60% of what your ‘normal’ 1-rep-max is. So, calculate your 40-60% 1 rep max, load the bar, then add the chains or bands. On all days, a small number of ‘accessory exercises’ will be performed with a rep range of 8-12. To prevent burn out, every fourth week replace Max-lifting days with lighter weights, and higher reps. Exercises are changed every month for intermediate lifters, and weekly for elite lifters. For example, stance width, grip width, depths and range of motion of lifts, may all be varied. 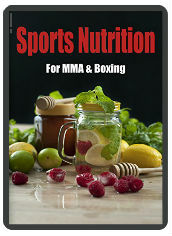 I would NOT recommend this training prorgamme if you are training in MMA as well. Most people I know who have trained using this method are juiced up to their eyeballs.